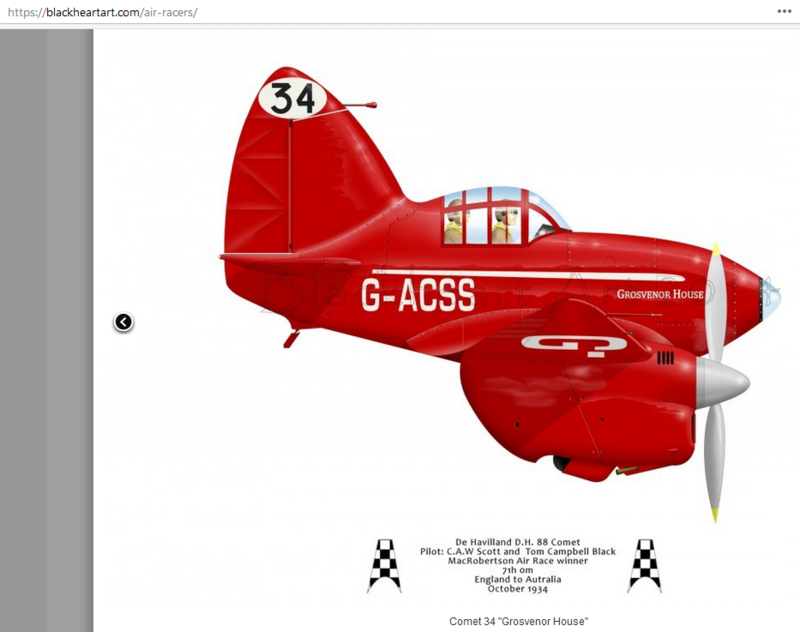 I just posted a (long overdue) update to my site on the De Havilland DH-88 Comet. Not structly what-if but there is a what-if section in the site! Yes, I have seen the site and follow them on Facebook. Can't wait to see all three Comets flying together! there is a what-if section in the site! And I am glad to find included the French and Soviet cousins of the British bird, thanks! And a fair number of them have been lifted (without credit) from this very forum. 4 are mine and at least one is NARSES2's. Well I'll be jiggered ! Perhaps we should consider a Class Action Dave ? Seriously it does annoy me when people's work, or even the source, goes unaccredited. Just let me know which ones are yours and I will put the credits in. I has a lot of material that I have no idea where it came from. Mine is the RAF PR one. Mine are the BEA, RAF camouflaged, Schneider and Supermarine Comets. There's a couple of others there that I've seen here, but don't recall which threads. According to me, the main fault is not Tom's but Microsoft's: "Save picture as" should not save only the picture, but a few pixels addition with the source. This is the need but computer people don't care of the need, alas. So, now, I do not use anymore "Save picture as" but "Print Screen" then going on a pixel management software to include the web address. This is possible but long and uneasy. I've added your names (I hope I picked the right pictures ) and where I could find them I added a link to the relevant topics on the forum. Again apologies for not attributing your work! And Tophe, yes I can see where you are coming from. I do understand Tom's dilemma. I've been gathering up photos of 1:72 models in a folder for many many years. They're really just for my own entertainment and edification, but if I ever did decide to build an online 1:72 museum site, I wouldn't have the foggiest how to attribute probably 99% of those photos. I guess I'd just post them, ask that anyone who recognizes a model contact me, and go from there. I guess I'd just post them, ask that anyone who recognizes a model contact me, and go from there. I think that's a perfectly acceptable way to do it. Do you know this lovely cartoon Comet? by Pat Cherry.